World War I Bridges - WW1 Centenary from the river Piave: The new b#side war festival's horizon: Rome, with the installation "Prisoners"
The new b#side war festival's horizon: Rome, with the installation "Prisoners"
Details: The installation will be available: from 27th to 28th May at Piazza San Silvestro, from 6.00 p.m. to 10.00 p.m.; from 10th to 11th June at the Park of ex Manicomio Santa Maria della Pietà, from 6.00 p.m. to 10.00 p.m.; Saturday the 24th June at MAAM – Museo dell’Altro e dell’Altrove (via Prenestina, 913, Rome), from 10.00 a.m. to 8.00 p.m.
After Udine, Gradisca d'Isonzo, Pirano and Genova, B#SIDE WAR FESTIVAL's tour comes to the capital city of Italy, for the first time, with a series of appointments focused on public art. 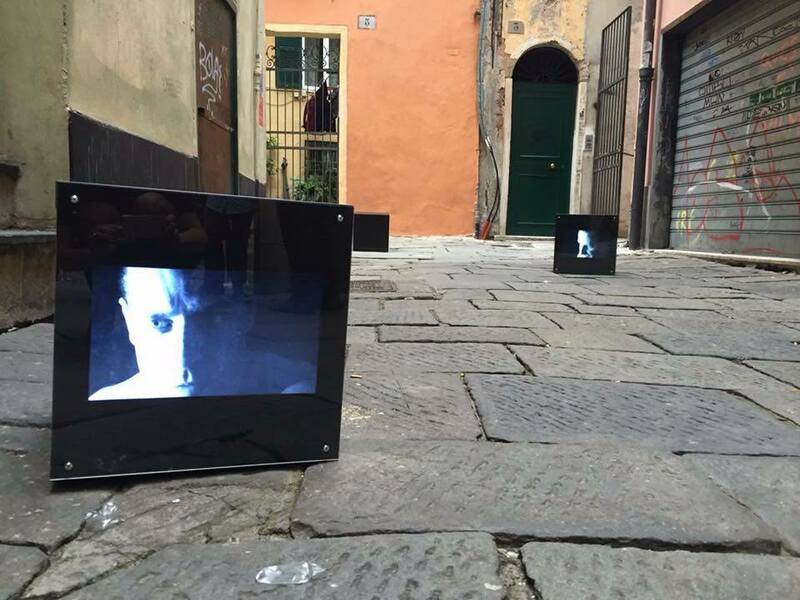 These inaugurations organized by IoDeposito Ngo start with Prisoners, the conceptual public art installation by Joshua Cesa: in collaboration and with the patronage of the Municipality of Rome, the first date is set for Saturday the 27th May at 6:00 p.m., at Piazza San Silvestro (Rome, Italy). The installation, which enjoys the patronage of UNESCO, will be available from 27th to 28th May, in the area of Piazza San Silvestro, from 6.00 p.m. to 10.00 p.m. For the first time in Rome, this new artistic experience opens three upcoming events dedicated to the work of art: the second one will be on Saturday the 10th June at the Ex Lavanderia and, the third one, on Saturday the 24th June at the MAAM – Museo dell’Altro e dell’Altrove. All three Roman appointments belong to the third edition of the diffuse artistic and cultural Festival B#SIDE WAR, which is promoted by IoDeposito through numerous Italian and international events such as exhibitions, conferences and research project. One hundred years ago, Europe looked like a big open-air prison: almost fifteen million people used to be trapped inside inhuman war jails and even more civilians were trapped between refugee camps and their own houses, living a life of destruction and deprivation. Through his installation Prisoners, the artist Joshua Cesa relates to that terrible war scenario trying to involve visitors in exploring a poli-focal historical point of view, between the past and the present. In fact, Prisoners is born from the need to investigate the experience of captivity in a perceptive sense. Starting from the historical experience of the Great War, the artwork triggers a reflection on the idea of imprisonment, a constant and invariable implication in all conflicts, impacting on the way in which we perceive the world. The installation consists in a series of cubic structures open themselves to dynamism, showing the image of many people trapped inside them, that, desperate, seek freedom. A container which become, in this way, metaphor for all the imprisonments -not only those due to overt wars, but also the ones due to concealed conflicts-, in these challenging times where man is above all prisoner of himself: so, the issue begs the unavoidable question of what are real borders of a cell. Prisoners appears to act as a veritable artistic experience, even thanks to two languages that underlie in the same work: fixity and perfection of the geometrical figure are combined with faulty and desperate gestures of those that try to achieve freedom.